New authorised officers Sinead Atkins and Lea Curtis will be ready to start assessing, rating and monitoring education and care services around SA later this month. Sinead Atkins and Lea Curtis really know what it’s like to work in early childhood services. 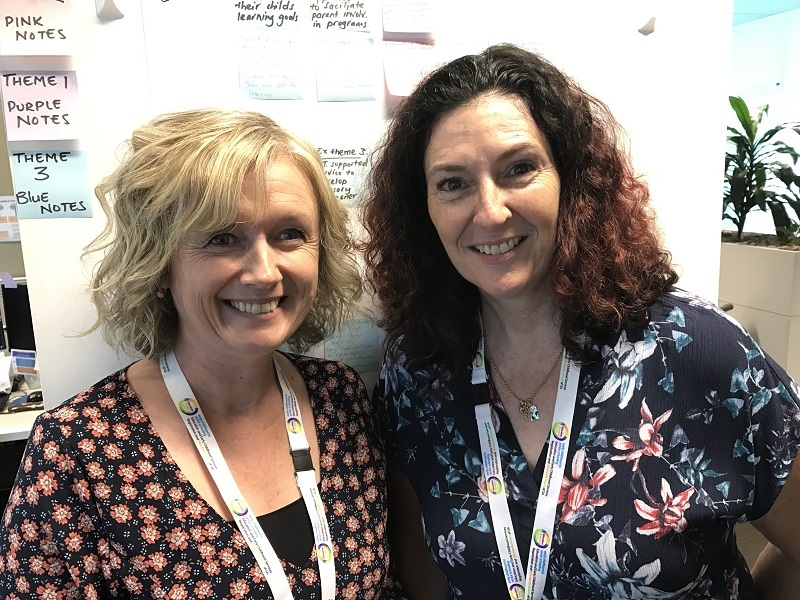 They’ve got a combined 55 years of experience and are eager to use it in a new way: as authorised officers for the Education Standards Board (ESB). Both started with the ESB in January and are part way through rigorous training to ensure they can assess and rate services reliably as well as monitor and support them to achieve their best. The pair have been observing highly experienced authorised officers on visits to services, doing online and face-to-face training and readying themselves for when they do this work on their own. Lea has a wealth of relevant experience to draw on. She’s worked as an educator and director in childcare centres and preschools, a student support officer in schools, a school teacher and counsellor, special-education teacher and inclusion professional at Gowrie SA. When Lea was working in child care, her service in Port Augusta was one of the first assessed under the then-new National Quality Framework. It made an impression on her and the service. "I remember we were all quite terrified, and then the lady [the authorised officer] was lovely … And the report was a growth point for us, like a turning point, as to where we were sitting as a quality service. We made lots of changes and learned a lot." Lea is looking forward to "meeting lots of new people in services and making a difference, adding to their continuous improvement journey and being able to share my skills and knowledge with them, with services". "It’s a privilege to be able to do that." Sinead was attracted to the role because she wants to support educators to create quality care environments for children. "Ultimately it’s around having a child focus and making sure that every child has the opportunity to have quality environments to be cared for in," she said. She has 30 years of experience in roles in education and care as an educator, manager and TAFE lecturer, mainly in the northern suburbs, and as a senior inclusion professional at Gowrie SA. "It’s a good opportunity to learn more. And I like the idea of seeing all of the different services that are available around South Australia for children, the different complexities that they have and how they overcome those." What training do authorised officers receive? New authorised officers receive training in the knowledge and skills needed for the role. online training and training in Sydney with ACECQA to ensure consistency with authorised officers around Australia.